Our 16-stem arrangement is filled with two kinds of large and fragrant roses. Sultry Mayra garden roses have a rich garnet hue, velvet texture, and luxurious ruffled petals, which pop against classic cherry red roses. 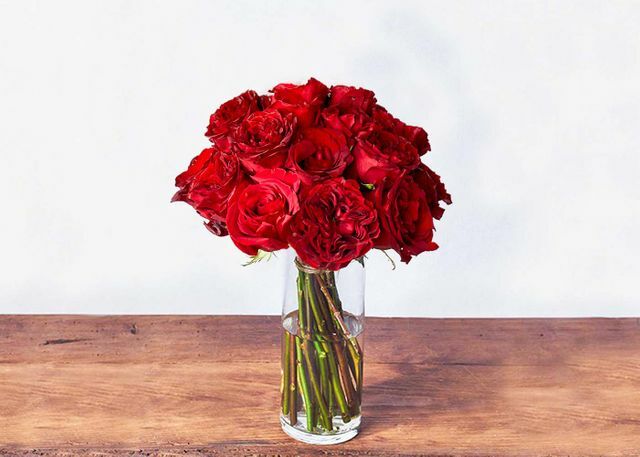 A fresh twist on a timeless classic, this stunning, all-red, bouquet sends the message that love is in the air.